I love cooking. You can probably tell that from my Cooking With TechyDad segments (which I have been, admittedly, slacked off on). I love to try new recipes and even new foods. However, this urge to try new things doesn’t always work well with a six year old and a two year old. NHL would be happy if I just microwaved chicken nuggets half the time and made pizza the other half. JSL would be delighted if we served him Macaroni and Cheese seven days a week, three meals a day. Obviously, I’d like them to learn better eating habits than chicken nuggets, pizza and macaroni and cheese, but getting them to eat other things can be an uphill battle – even when the food is something they like. Recently, I made a recipe from Sneaky Chef’s new cookbook The Sneaky Chef to the Rescue: Mexican Muffins. Basically, the recipe is eggs and cheese baked in tortillas pressed into a muffin tin. Unbeknownst to NHL and JSL, however, I had added a cauliflower/zucchini puree to the mix. You can’t taste it, but it adds some additional nutrients. The first batch went well until they discovered peppers from the salsa the recipe called for. The next batch, which I just made Thursday night, omitted the salsa but wound up being rejected "just because." JSL picked as his meal and eventually, with my help, ate some of his eggs. NHL, however, decided that he didn’t want eggs and hooted and hollered for an alternative. We refused (knowing that he likes eggs) and he continued to scream. We do provide alternatives when we know dinner is something he doesn’t like, but he doesn’t get alternatives if dinner is something we know he likes. Sending him to his room to calm down didn’t help. The screams coming from the other room included some choice quotes like "you need to go to jail" and "Mommy and Daddy should be arrested" (presumably for not catering to his every whim). This tantrum was partially fueled by his allergy medicines and partially by him being tired, but dinnertime temper tantrums (or at least refusals to eat) seem to be getting more common. 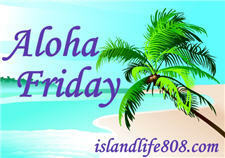 My Aloha Friday question is: Is your child a picky eater? What do you do when your child demands something different from what you’ve prepared? How do you defuse an all-out temper tantrum? I guess she isn’t very picky since she eats just about everything I cook! .-= Mama Dweeb´s last blog ..Bloggers and Tiaras =-. Seldom will I make a second meal. I try to make things I know everyone likes. If you chose not to eat it, you’re going hungry. This ain’t no drive thru kitchen. .-= Jennifer @ J. Leigh Designz´s last blog ..Aloha Friday – Linkin’ Up =-. I have 3 kids, grown now, but they are all more picky now than when they were little. 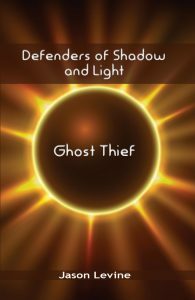 .-= Vicki´s last blog ..Review: close encounters of the third grade kind =-. My 13 yr. old daughter is very picky. It drives me crazy. For the most part, our children know that what’s on the dinner table is what they get; we don’t make something different for them just because they might not like what’s on their plate. If they don’t eat their dinner, they get no snacks. Maybe that sounds a little harsh, but, with four kids, it could be easy to feel like a short-order cook if I gave in and fixed something different for each of them. .-= Kari´s last blog ..Aloha Friday – Chili =-. My daughter once threatened to call the police on me because I was busy doing chores and couldn’t play that very instant! Thankfully, her “phone” (actually a pink calculator) didn’t do her much good in that department! LOL! When my daughter refuses to eat something that she normally eats well, I cover her plate and put it in the fridge. Almost always, she’s begging for a “snack” two hours later, so that’s when I pull out the plate and warm it up. She always eats the rest really well! Of course, I only do this when she eats almost nothing, which is becoming less common now that she’s almost four. .-= Andrea´s last blog ..Tiny Prints Has Got You Covered for the Holidays! =-. LOL….My daughter is a very picky one. I found in having her help cook the food she started to eat some different things. You could try giving him a cook book and having him pick out a recipe. then go shopping with the list and both of you cook it. thank God a have a G-nephew “Critter” who loves to cook. .-= shelly´s last blog ..Aloha Friday: They Drive Me Crazy =-. I don’t have kids yet, but I was a picky eater. I’m having a birthday giveaway, come and have a look (see left sidebar)! .-= Ave´s last blog ..Aloha Friday #17 =-. My kids are not picky. My kids will not eat condiments though, but that is ok with me…too much sugar. We do have an issue with keeping them eating and finishing their food. I usually bribe with dessert. My son is a very picky eater (unlike my daughter who is a great eater!). He has the choice to eat what I made or to have cereal — he eats a lot of cereal right now 🙂 I am pretty sure he will outgrow the pickiness or else purchase stock in a cereal company! As far as tantrums — if he throws one he gets sent to his room until he can calm down. He doesn’t like to be alone so that usually works pretty quickly. .-= Marie´s last blog ..Cats on Tuesdays — MacKayla the Empress =-. I think that it starts when they’re little and what you let them choose to and not to eat. I never wanted to raise a picky eater so I would try out foods and if they didn’t like something we would reintroduce it again in a couple of weeks. My girls are very good eaters. If there is a time that they don’t want to eat something, my motto is if you try it once and you don’t like it, o.k. But you don’t get anything else to eat. I don’t make weird things and expect them to try it…but if I know they like what we are making and 99% of the time they do, if they don’t want to eat it, they do not eat until the next meal. I promise, kids won’t starve themselves.